Earn her and she will carry you through fire! Sweet Pea retired before her race career ever began, they knew that she just would not be competitive. We have basically started her from the ground up, and she continues to improve every week. 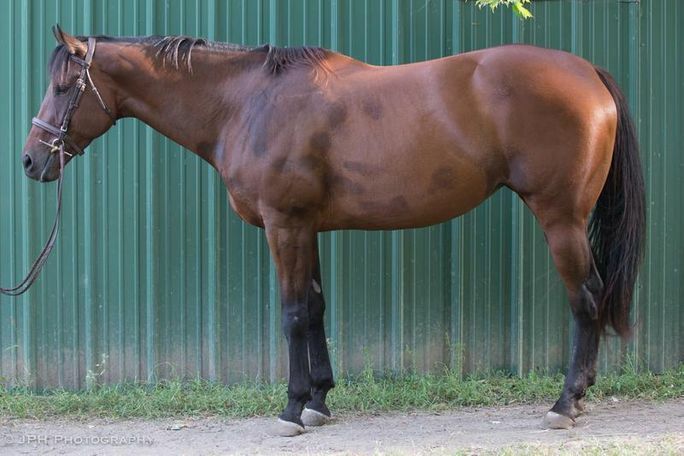 She has 3 lovely gaits, a very remarkable canter, is started over fences, and has local hunter and dressage show miles. Sweet Pea has come a long way in our program, and is easily one of the most versatile, athletic and talented horses we have had in awhile. Lori refers to her as a "superstar" and a mare that "if you earn her, she will carry you through fire, do anything you ask." 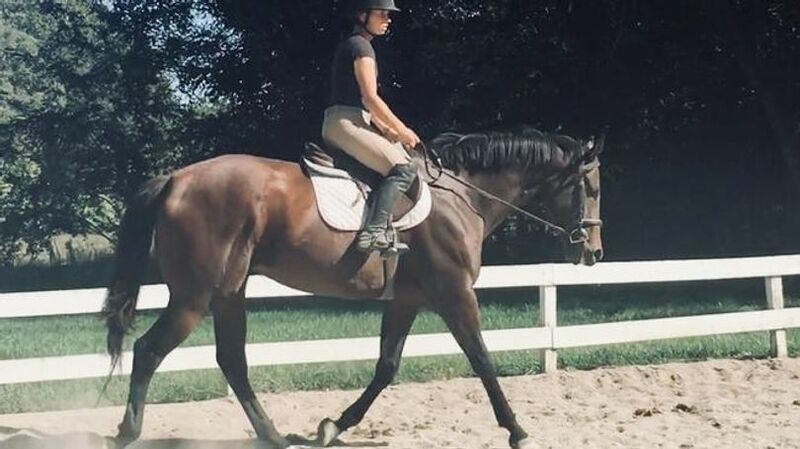 Sweet Pea is suitable for a serious young rider that is working with a trainer in a program, or an ambitious adult rider that is looking for a horse to move up the levels. All Friends of Ferdinand horses come vetted, require a test ride and include a 30 day trial.